Quik Shade is widely recognized as an innovator in the world of portable shelters, and this canopy from their GO series demonstrates their expertise in a unique way. Its design is both durable and incredibly easy to manage. The frame comes fully assembled, removing the most difficult part of the setup process, and the entire frame can be set up in under a minute. 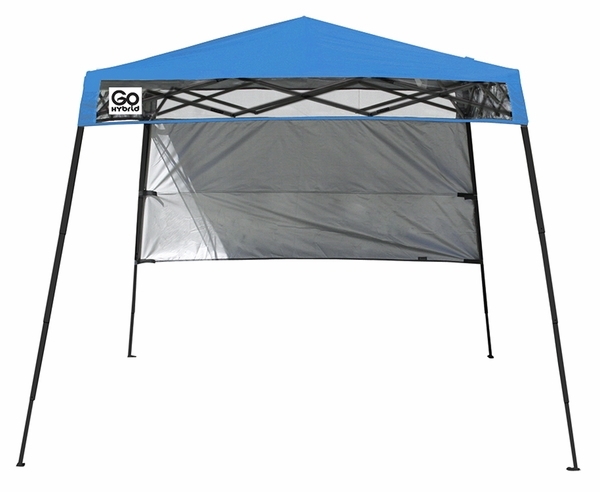 In addition, this GO series canopy utilizes a mesh fabric covering to maximize air flow, keeping the shelter cool in the sweltering summer heat. It also offers top notch UV protection thanks to Quik Shade's Aluminex-backed design.